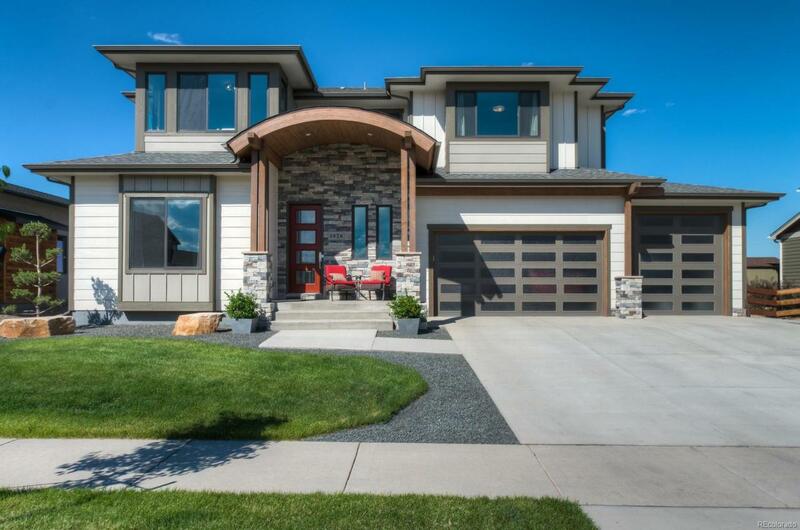 Stunning, almost brand new home on large lot, backing to open space! Located in the Poudre School District (Bethke, Preston, Fossil Ridge) just walking distance to elementary school, this gorgeous custom home features a great open floor plan, wood floors, beautiful white kitchen cabinets, a main floor bedroom, and your very own basketball court. Contemporary style, exposed wooden staircase creates an amazing focal point. Popular neighborhood with clubhouse, exercise facility and pool!